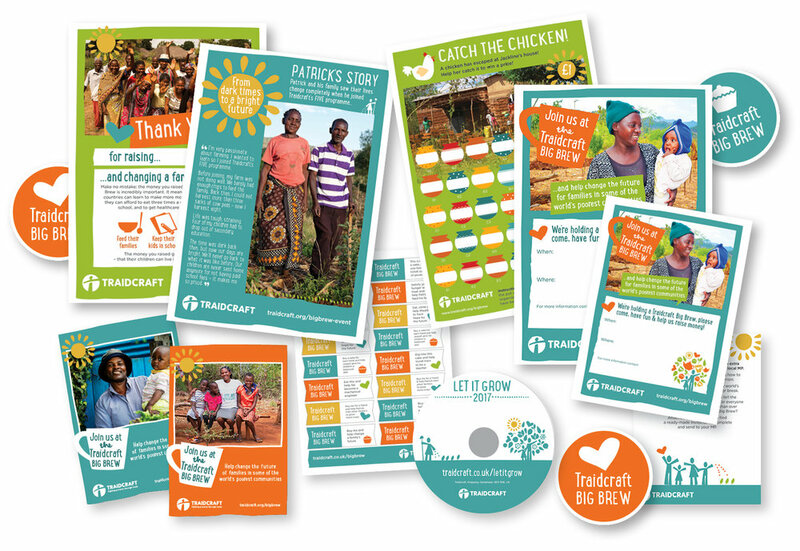 It's amazing what can be achieved when a few people come together to raise money for Traidcraft Exchange. We'd love to hear from you if you're planning an event or fundraiser, and would be delighted to offer any help we can! Here you can find some useful resources to make your group fundraising efforts more fun and more effective. There are so many ways to put your lovely collection box to good use. Whether placing it in church, on a stall or in a public place, or filling it with your spare change at home, those small coins can make a huge difference. These lovely collection envelopes are perfect foruse at larger events, such as church services, carol concerts, or birthday parties. Big Brew events can happen any time of year, and are an amazing way to get your community together to raise money and make a real difference to farmers and artisans in the developing word. This gorgeous poster features two of our project participants from Tanzania and Bangladesh. The reverse side of the poster is an event invite, and has plenty of space to fill in all your event details, so you can make sure everyone knows to attend!